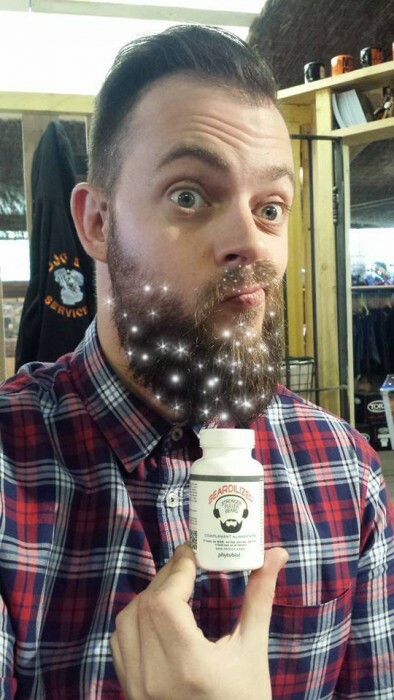 Today’s blog post is all about beard hygiene. First off, we want to clear the record. There is no reason to believe that having a beard is inherently dirty or unhygienic. The current wave of articles and social media posts that compare beards to a bacteria sponge are largely sensationalist clickbait capitalizing on the mainstream’s current love affair with beards. The beard, like any other part of a man’s body, needs to be cleaned regularly to stay in good shape. Thankfully, daily cleaning and maintenance will add little time to your routine. Wash your beard daily when you shower. You can use shampoo or soap, whichever you prefer. The key to getting your beard clean and keeping your skin in good condition is to scrub right down to the skin. Scrub both the hair and skin gently and then rinse. You may want to follow up with a little conditioner to keep your beard soft and manageable. Once you get out of the shower, blot your beard dry, just like you do with the hair on your scalp. You may want to finish up with a little beard oil to keep your beard in good shape. Apply a dime-sized amount of beard oil to your beard, starting at the ends and working it gradually up the shaft of the hair to the skin. As you can see, these small steps for beard hygiene will add little time to your routine, but will dramatically improve the appearance of your beard. As you go about your day, simply wiping your mouth after meals, no differently than you would if you didn’t have a beard, is all that is required to keep food particles out. This works the same whether you have a long, full beard or just a little scruff. You will find, like women already know, that the longer the hair, the more maintenance is required. A scruffy beard probably won’t need conditioner. On the other hand, a long beard will look better with regular conditioning and the applications of beard oil, and you will need to be a bit more careful to keep it clean while you are eating. The thought that beards are bacteria laden comes from the fact that it is natural for a warm, moist environment, such as the one created by a beard, to attract more bacteria than the smooth, dry surface of smooth skin. However, this is only true if the beard’s owner does not do anything to keep their beard bacteria free. Fortunately, it doesn’t require a surgical level of scrubbing to keep your beard hygienic. By maintaining your mane just the same as the rest of your body, you will keep it clean and fresh.